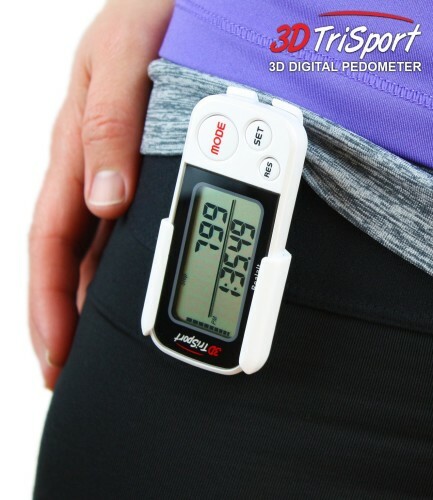 Many people believe that pedometers count the number of physical steps that you take. That is not the case, as what they actually do is respond to, or sense any type of movement. The problem with that, of course, is that there is a tendency to measure any type of movement that is not actually a step. If for example, you had a pedometer in your pocket, and you were moving from side to side, or backwards and forwards, the pedometer would recognize that as movement, and count that as steps. Therefore accuracy is a key element for any good quality pedometer. 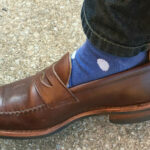 Most cheaper pedometers use what is termed a “pendulum movement” to determine steps. It is a simpler technology, and on average it is around 85-90% accurate. That is good enough for most people though! 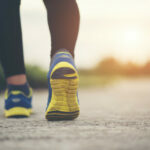 Which Is The Most Accurate Pedometer? The most accurate are those known as “tai-axis accelerometers,” and you will find these at the higher end, and most expensive product lines. 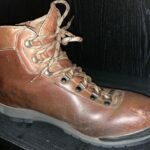 It is worth the investment if you want to be very accurate, and track daily footsteps. The majority of the cheaper pedometers, however, use what is called a pendulum movement. This pendulum movement senses the backwards and forward movements of your strides, or steps. Although this is not highly accurate, it is enough for the majority of people, who want a good indication of how many steps they have walked, the distance they have covered, and the time it has taken them to do it. That helps keep an adequate record, shows the improvement over time, and can become a very motivational thing to do on a regular basis. Now some people walk when they are trying to lose weight. That is also a very good thing to do, and again a pedometer is a great way of tracking all of that information. In addition to the basic functions, it would be a good idea to have a pedometer that can track how many calories are being burned. For people on diets, or keen to get their weight under control, that is certainly an important consideration. If you would like just one recommendation for a good quality pedometer, then we would recommend the Pedusa PE-771 which only costs under $20, depending on where you make your purchase. It uses a 3D Tri_Axis sensor,so it is very accurate. It has a 7 day memory, and is multifunctional, in that it records time, distance, and calories, has a clock, and can be used for goal setting. There are a few colour choices including the blue, black, green, orange, pink, yellow, white and red. Now, like many pedometers, this one has its limitations, but given what you will pay for it, they are not major. This is about as basic as they come, but it is accurate and does all the basics very well. In simple terms, you attach it to your waist and that is all you need to do. Now, of course, there is the initial set-up to be completed. Have a look at this video as it explains initial set-up very well indeed. In the video above,you will find a handy plan to help you set up, and more importantly, test the accuracy of any pedometer that you may buy. Always have it close to your body, as straight as you can get it, and always on the waistband of your pants. This is the most effective position for the highest accuracy. Working out your stride length is vital, so follow the method in the video for the most accurate results. Just stick with your normal stride pattern, and don’t over stretch this, or make it a longer stride than you would normally take. Always do this on a flat surface. Then test the accuracy and try to get it as accurate as you can. Something close to 90 percent is good. If it is below this, then re-position the pedometer on your waist until you get a good accurate measurement. Please also be aware that bending over, walking upstairs, or on gradients will also impact the accuracy of a pedometer. If you are going to be a regular walker, then in terms of keeping you motivated, a pedometer can help do that. It is a good idea to have something that measures your activity, and can also monitor your progress. There is for certain, satisfaction in looking at a display, and seeing what you have achieved. A basic pedometer that costs a few dollars will do that. 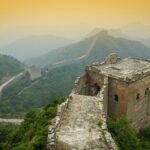 If you have decided to walk to improve your fitness, or perhaps to lose weight, then you may want to have some extra features. If that is the case, then buying a slightly more expensive pedometer is a good idea. Finally, if you are someone who likes accuracy, and wants to be able to carefully and clearly measure all the important statistics, then by all means buy a more expensive one. 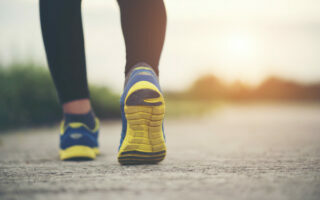 That will have software for tracking on your computer, and will have all the bells and whistles, to help you see how good you are at attaining your walking goals. 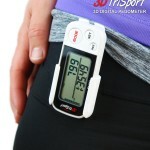 The Best Pedometers Of 2019 – Reviews Of 3D Tri Sport, CSX, And More!